Located high above the Ayung River Ubud, All rooms have panoramic views of the magical Ayung valley, Best views and hospitality. Alila Hotel Ubud has been laid out as a Balinese hillside village complete with its own community centre and pedestrian lanes. 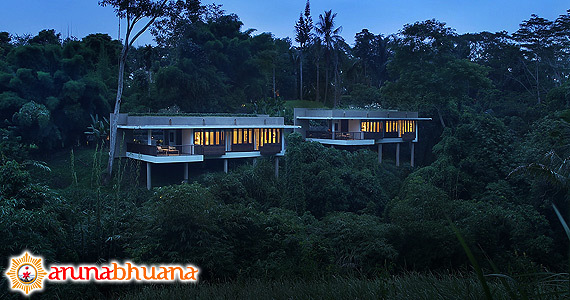 The resort’s rooms and villas stand above a ravine on stilts like tree houses and are set into the banks of the river valley. The world-renowned architectural firm Kerry Hill Architects has made use of traditional Balinese design, but transforming it into modern geometry in the exotic creation of Ubud villa hotel. Smooth plaster walls and concrete meet thatched roofs terrazzo tiles meet gravel or crushed rock; wood meets glass, making for one of the most uniquely designed boutique hotels Ubud has seen. 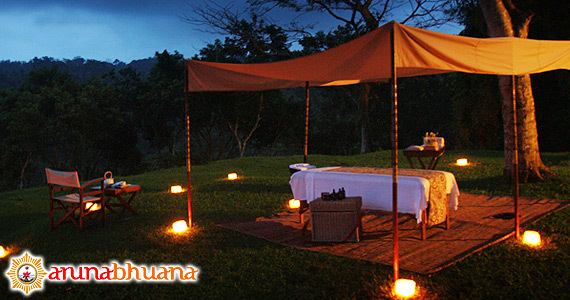 All rooms have panoramic views of the magical Ayung valley. The lower ﬂoor rooms feature individual garden terraces and a back courtyard with an open-air bathroom and shower. The upper floor rooms enclose a private balcony and unobstructed views. 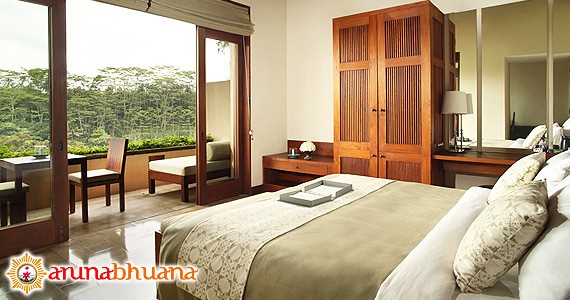 The villas encompass spacious one-bedroom with in-door shower and outdoor bathtub. 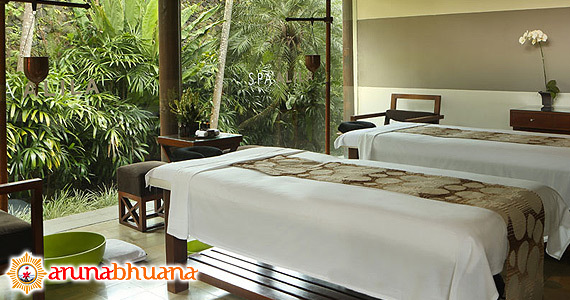 In-villa hospitalities include swift assistance with in-villa arrival and departure. Towering coconut pillars and a traditional thatched roof lend a bright and open feel to Alila Ubud’s Plantation restaurant The Executive Chef artfully prepares authentic Asian and seasonal cuisines as well as some of the ﬁnest Balinese dishes. 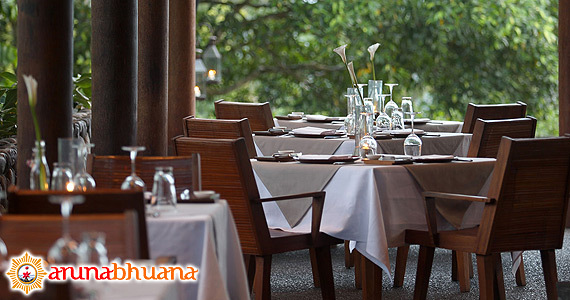 Cuisine naturelle from the organic farm is also available. 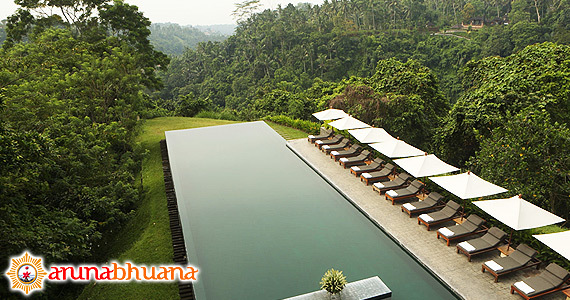 Guests can also comfort grazing food and seasonal beverages are served at Cabana Lounge, overlooking the dramatic emerald-green pool that floats above the plunging Ayung River Valley. Draped by a majestic mountain setting, Alila Ubud is a perfect resort destination for couples seeking an intimate wedding. Set in the Balinese hillside retreat of Payangan, close to the artistic centre of Ubud, the tranquil and inspirational surroundings and range of indoor and outdoor locations make for the most romantic and unique weddings. Individuality is the essence. 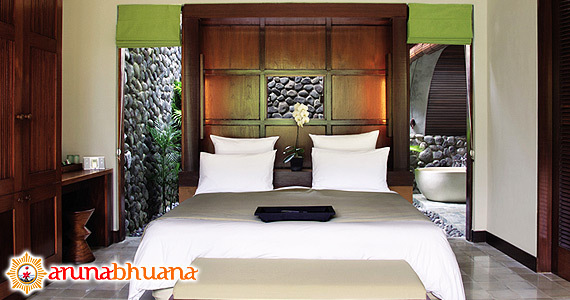 The 56 rooms are housed in 14 two-story blocks designed to resemble a Balinese village. 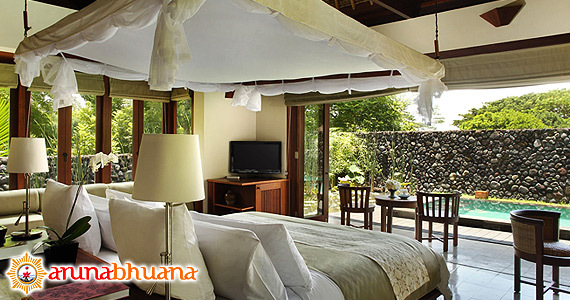 All rooms have panoramic views of the Ayung River and surrounding volcanoes. 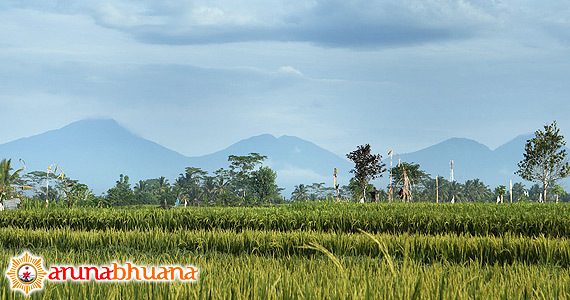 Guests can visit various art galleries, museums, and temple festivals to experience the real Bali. Facilities for recreation include an outdoor pool, spa, and water sports. 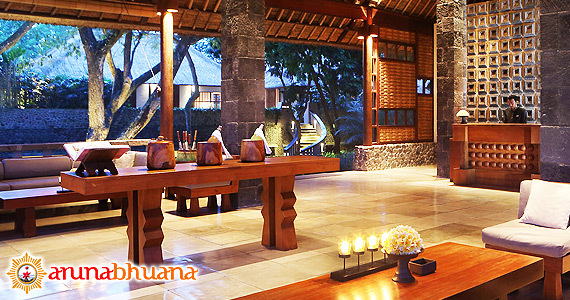 Whatever the reason for your stay, Alila Ubud Hotel will make it a good one. 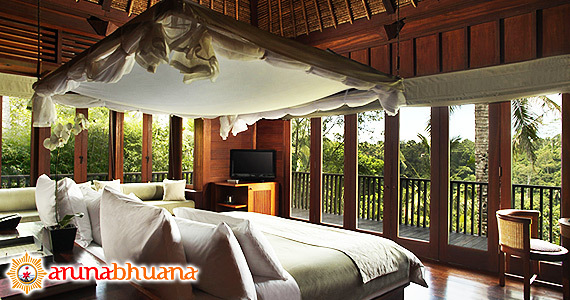 Alila Hotel, Ubud offers Fifteen Type Room of accommodation : Superior, Deluxe, Valley Villa, Pool Villa, Terrace Tree Villa. Contact us for Reservation or Booking of Alila Hotel, Ubud : +6289666777488 (for further Alila Hotel, Hotel in Ubud details & rate deals). The level of service and the intimacy of the resort serve to make this an incredibly special place. My husband and I, yes, honeymooners, were blown away by its beauty and how beautifully everything was put together. We are now on Lombok in another very very nice hotel but Alila Ubud will always have a special place in our hearts!